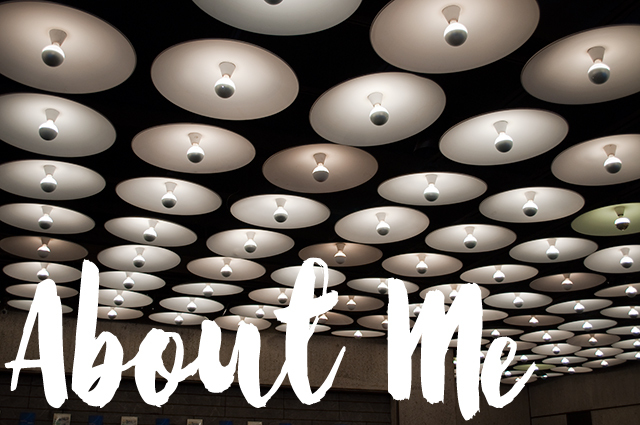 I always feel a bit awkward trying to summarise myself for the purposes of an “About Me” page. There’s the temptation to present an idealised version of my self, to massage my ego. Or I could try to be honest and self-deprecating, though I’ll always tend to skip over the more embarrassing parts of my personality. I could be brief and factual, though any selection of facts will be a partial representation. There’s always the enigmatic “less is more” approach, sound-bites with plenty of room for interpretation. Then again, I could be over thinking this. I do that quite frequently! I’ve started many blogs since 2002, all under the Cedarlily moniker, but I’m rubbish at keeping up the momentum and they usually fizzle out after a few posts. I think that’s generally been because I don’t have much of interest to report! I usually start a blog because I need to process something- as an introvert, I’m more comfortable writing about stuff than talking about it. I’m often triggered to write by difficult situations (like losing my Mum to cancer when I was 23 or wrestling with my spirituality) but that’s really stuff I should journal about instead so I tend to get embarrassed by my over sharing and stop posting after a few weeks. But now I’ve reached a season in my life where I feel maybe I could blog for positive reasons. Maybe I have something of genuine interest to share this time! I have been passionate about interior design since I was a teenager, and have recently been able to pursue a lifelong dream of renovating a house. The process of creating a new home for our family has felt symbolic of stepping into a new chapter in life. I’m slowly emerging from the fog of post-natal depression, and the creative act of project managing the bungalow renovation has triggered a shift in my well-being and engagement with the wider world. The main focus of this blog will be sharing our experience of renovating our little bungalow. It’ll also be a place to explore future plans and aspirations for phase 2 of the renovation project. As a fairly new mum of twins, I’ve also got a few bits relating to parenting multiples that I’d like to share. I’ve also a vague notion that I may share some bits about mental health and self-care as part of my recovery from post-natal depression (if I can work out how to write that in a constructive way). They say that life goes in seven year cycles. For me, the last seven years have been about surviving big changes in my life, which has been very stretching and unsettling. I’m hoping these coming seven years will be more about putting down roots and connecting with community. It’s this sense of transition to a new season that has triggered my desire to blog again. This time I want to chart my journey towards finding a new home- not merely physical bricks & mortar, but a safe space to explore who I am in this new season.